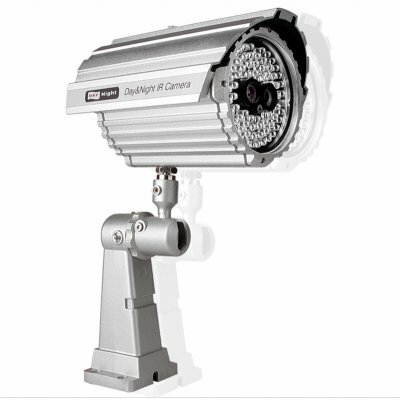 Successfully Added Dual Lens Day/ Night CCD Security Camera -PAL to your Shopping Cart. Brilliant dual lens day and night PAL CCD security camera. This powerful security camera is equipped with a double lens design. a colour lens for capturing daytime images and a black and white lens for night time or low light situations. A light sensor measures the amount of light and automatically switches between day and night lenses. It also comes with 75 infrared LEDs with a visibility range of 40 meters. Excellent for your home or office and with Chinavasion's no MOQ policy and direct shipping it's easy to profit from the resell value of this item.